This year, more than any before, I feel a duty to minimise my impact on the planet. Hopefully, if you are reading this, you do too. As someone who works with, and loves wood I thought it might be worth highlighting some of the things I’d be delighted to receive if I didn’t have them already. Useful things that will bring a lasting pleasure and won’t cost the earth. 1, Travisher from James Mursell. James’ tools are excellent quality. The travisher is probably the tool people fall in love with the most on my Introduction to Green Wood Furniture Course. Use it to clean up unpromising looking boards quickly and beautifully. The gentle undulating tool marks catch the light beautifully and provide far more tactile joy than a flat, planed or sanded surface. James’ tool is a joy to use. Perfectly balanced and fitted with a blade from one of the country’s finest toolsmiths, Ben Orford. A beautifully travished seat made on my Creative Seating Course earlier this year. 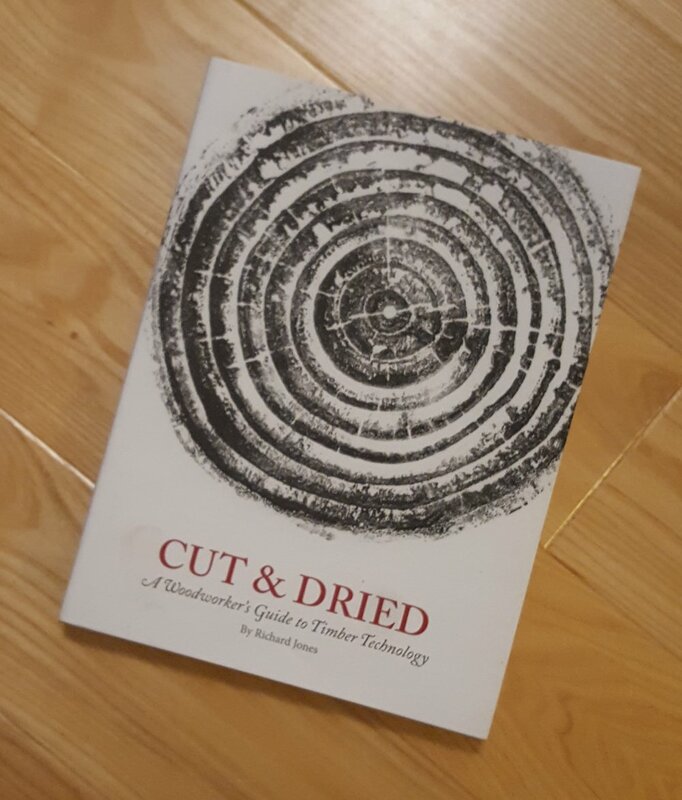 2, Cut and Dried, A woodworker’s guide to timber technology, by Richard Jones. The book i have always wanted. An in-depth study of wood, from a furniture maker’s perspective. Full of useful information on all aspects of the material I love most in the world. Published by Lost Art Press, which is a Mid-western publishing house specialising in books concerned with reviving the lost arts of making by hand, as opposed to machines. 3, A Sean Hellman Drawknife. A superb tool that can be used either way up, and has been hollow ground on the “flat” side as well as the bevel side. This makes it much easier to sharpen, especially for the novice. Sean is a great guy, generous with his knowledge, and a true craftsman. 4, The Hidden Life of Trees, by Peter Wohlleben. A book of marvels, putting the case that trees are in fact sentient beings. That they communicate with each other, respond with an intelligence to their surroundings, and even that individual trees display unique personality traits. This is not a fluff hippy book, but founded on sound scientific research. A walk in the woods will never be the same after reading this book. 5, A course. Our lives are so full of stuff. Courses make brilliant presents, affording people the opportunity to meet new people, and learn new skills. And take away something they have had the satisfaction of fashioning with their own hands. Check out my range of green woodworking courses, or just buy a voucher so you don’t have to decide on dates right now. Other course providers are available. Have a happy and sustainable Christmas.